A few years ago, in our previous home, I streamed a pine cone garland and some berries on a regular burgundy tablecloth to adorn the dining table for the holidays. Votive tea lights added some "sparkle" to the more rustic tablescape. 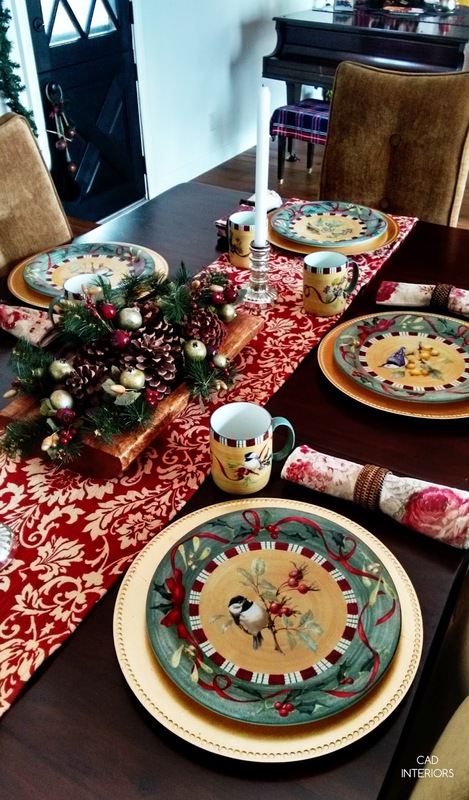 It was such a simple and inexpensive holiday tablescape, and one that I've re-used and tweaked over the years! 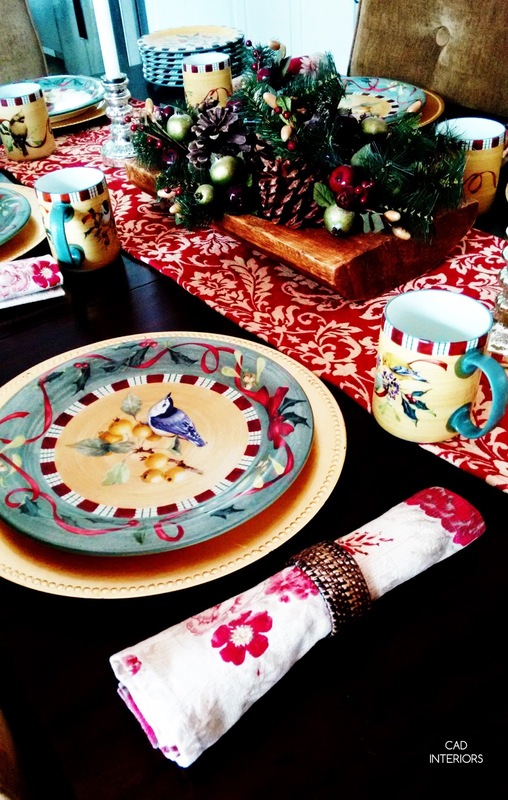 Last year, I reverted to the classic red and green Christmas color scheme - using our Lenox holiday dish collection as inspiration. Gold chargers added some elegance to the casual and colorful tablescape. The simple centerpiece was created using free pine cones I had collected on mountain trips over the years, with some holiday picks thrown in for color and texture. I used an old non-holiday-specific runner to ground the table arrangement. Generally speaking, while table settings with tall arrangements are definitely beautiful and interesting to look at, I find them to be more about form over function. 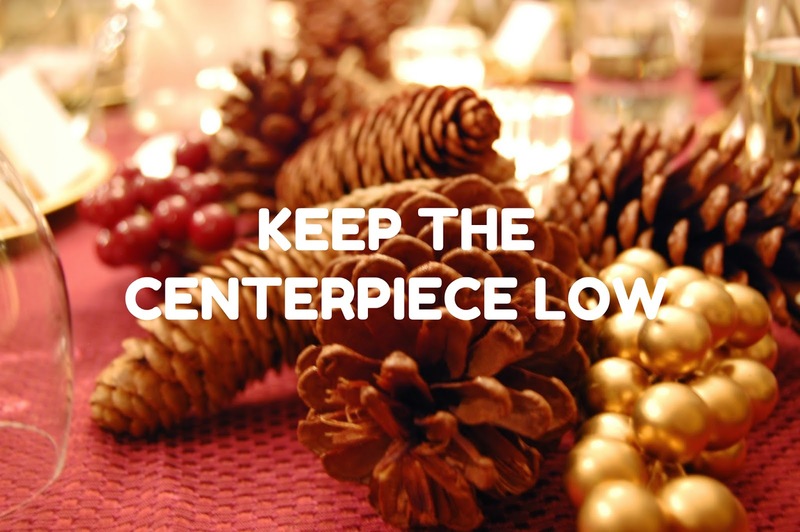 My tip would be to limit taller (and fuller) table centerpieces to more decorative purposes. When it comes to actual dining, however, low is the way to go. How many times do tall arrangements need to be moved out of the way so they don't impede across-the-table conversations?! I agree! Tablescape decor should be eye level. We want to see the person we're dining with! Pretty Tablescape, Carol.